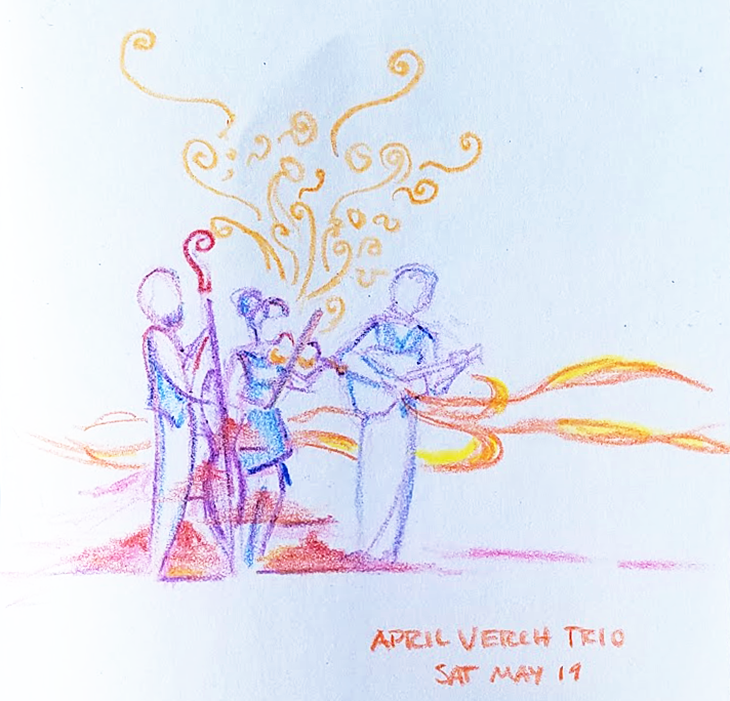 I saw The April Verch Band (April Verch, Cody Walters, and Alex Rubin) in May, and as well as the delightful music I got two sketches I’m quite pleased with, in very different styles. That’s an electric stand-up bass, not a normal bass I ran out of room for. I promise. I had fun trying to capture the instruments’ distinct sounds as shapes. 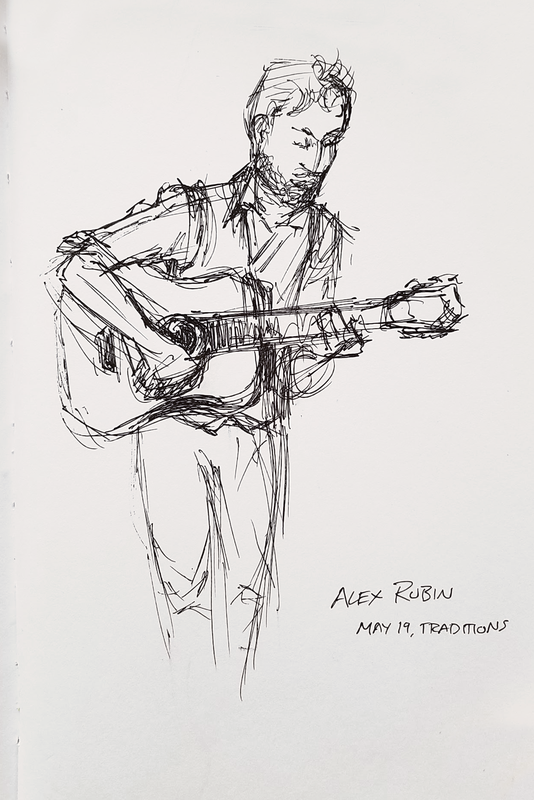 For the second half of the show I put the crayons away, got out a pen, and drew guitarist Alex Rubin.